Difficultés / Terrain : 1 - 1 (accessible sans problème aux personnes handicapées). Container: Il n'y en a pas sur une Earthcache! Formation des dolines de Limère: Le site est constitué d'une couche d'alluvions anciennes (sables et graviers) reposant sur la formation des calcaires de Beauce. L'infiltration des eaux de pluie entraine la dissolution de ces calcaires et provoques des effondrements. Ces derniers sont à l'origine des dolines présentes sur le site de Limère. Ces dolines participent au chemin que suit l'eau à travers le site. Elles ont à la fois un rôle de d'entonnoir et de stockage. Elles récupèrent ainsi les eaux de ruissellement puis les libèrent au travers des fossés ou des rivières souterraines. Infiltration de l'eau dans les calcaires par de minces fissures. Agrandissement progressif d'une des fissures. Effondrement soudain ou progressif du terrain et apparition de la doline. 1- Combien de dolines sont présentes sur le site de Limère? 2- Quelle est la profondeur de la doline centrale? 3- Sur le chemin entre le parking et la earthcache se trouve un panneau d'information sur un certain sapin, me donner le nom latin de ce sapin. Après mon accord, vous pourrez logguer votre "found it" accompagné d'une photo de vous ou votre GPS ou les deux... près des coordonnées de la earthcache. 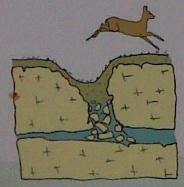 A sinkhole (doline) is a depression in the surface of a karst land. Its presence indicates the existence of a culvert to allow drainage of surface waters to the depths. This suction causes water little by little with it the surface layers of soil that gradually subside. Once the process starts, nothing can stop a priori, just wait: rain water, slightly acidic (even in the absence of any pollution phenomenon) gradually dissolve the limestone and gradually expand the duct. One day, the last remnants of earth disappear, the funds of the sinkhole opens and we witness the birth to a sink.The whole process may either be spread over several years or even millennia. A small sinkhole can measure several meters in diameter and several tens of centimeters deep, the giant great Causses spread over hundreds of meters wide and tens of meters deep. 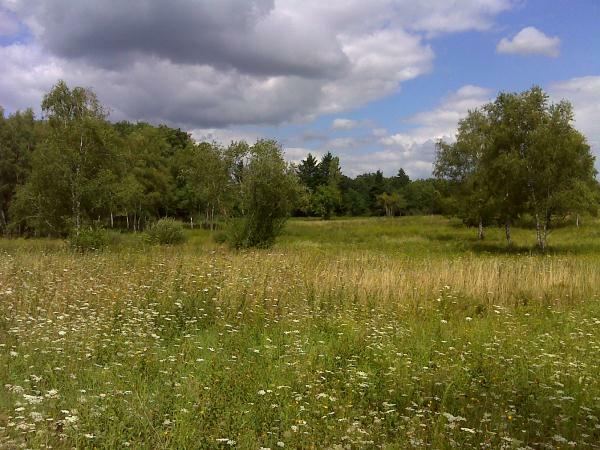 Formation of sinkholes Limère: The site consists of a layer of old alluvium (sand and gravel) resting on the formation of limestone Beauce. The infiltration of rain water causes dissolution of limestone and provoke the collapse. These are the origin of sinkholes on the site of Limère.These sinkholes are involved in the path that follows the water through the site. They both have a role in funneling and storage. They recover and runoff and release them through ditches or underground rivers. Infiltration of water into the limestone with thin fissures. Progressive enlargement of cracks. 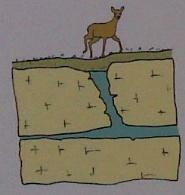 Collapse sudden or gradual onset of the land and the sinkhole. 1 - How many sinkholes are present on the site Limère? 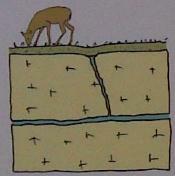 2 - What is the depth of the central sinkhole? 3 - On the road between the parking and earthcache is an information sign on a tree, give me the Latin name of this tree. After I agree, you can log your "found it" with a picture of yourself or your GPS or two ...coordinates near the earthcache.